A train wagon serving as an entry to the BAU 2 building of the ‘Tabakfabrik’ Linz (a former tobacco factory turned into one of the centers of the creative industries in Austria) sets the stage for an acoustic play. 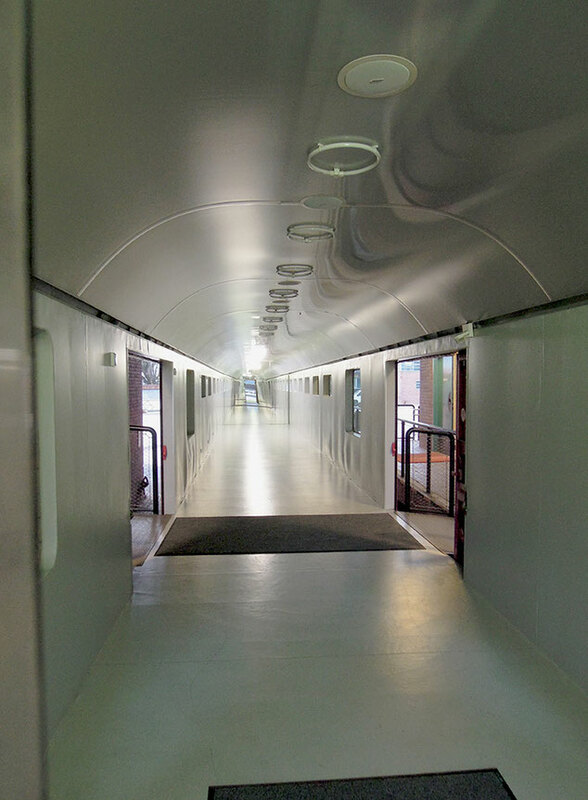 The modified wagon presents itself as a open tube, with reflective coating on one side and loudspeakers on the ceiling. Over the course of a 24-hour installation, sounds flare up at irregular intervals and in various forms. These sounds are taken off site-specific and mixed with recordings of classical music variations, wind-generating home appliances, electronic sounds and sounds from the insides of pipes. This creates an acoustic ‘air flow’ that simultaneously strengthens and irritates one’s perception of the surrounding environment.